A ravishing relief from dry and chapped lips that’s exactly how you feel after rubbing customized kiwi lip shimmer w/white tube cap. This lip shimmer heals cracks and silkifies the lip skin. It adds a tint to the lips, thereby making it appear enriching, plumper and healthier. Health Quotient –Hypoallergenic. Debilitating quality/quantity enhancers avoided. Animal Cruelty- free. Additives, fillers, preservatives and harsh flavorings avoided. FDA approved natural and synthetic moisturizers used for formulation. PABA free. Sweetened with saccharin. Directions – Rub kiwi lip balm over dry and parched lips during winters or scorching summers. Avoid using it over eyes as a texture enhancer, moisturizer or pain healer. 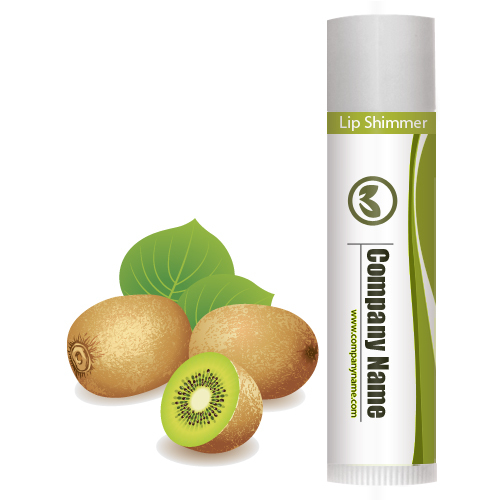 Gifting Favors – Customized kiwi lip shimmer w/white cap is a very delicious gifting choice for marketers and individuals wishing to build strong relationships. This lip shimmer can be gifted on any joyous occasion. Slip it in a gift bag as an add-on or hand it directly to the person- this lip balm is definitely going to win you appreciation above expectations.